She graduated from Canine Communication Studies in Kitchener, Ontario in 2011 and she is also Pet First Aid Certified. 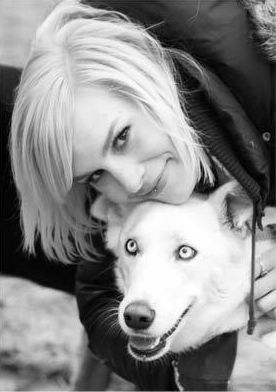 She has worked with dogs for nine years and specializes with dogs with aggression and behavioural issues. She has always been passionate about dogs, not just her own but all dogs; her goal is to educate all dog owners on how to effectively communicate with their dog while building a trusting relationship based on mutual trust and respect. As well she has many years of experience in increasingly responsible roles within animal care; in her last postion, she managed and coached over 20 staff members and multiple dogs in large groups. Brenna's experience is enhanced by education in Comprehensive Canine Behaviour and Aggression Therapy and Professional Pet Dog Training. Brenna has two rescue dogs of her own; Shyla a Husky/ German Shepherd x and Spud a Lab/ Hound X. Brenna enjoys learning and keeps up to date on everything new in the canine world. She also prides herself on passing on this information to her daycare and boarding staff members; she holds regular workshops on dog body language and communication, dog group dynamics and dog learning theory for all staff members. Because of Brenna's education, guidance, familiarity and overall enthusiasm to the canine world, K9 Central has one of the finest teams!!! !